Looking for a Mazda in Canada? Mazda established its operations in Canada in 1968. Its headquarters is located in Richmond Hill, Ontario and have approximately 168 independent franchised dealers in Canada. The automaker employs an engineering philosophy call Kansei Engineering, invented by Professor Mitsuo Nagamachi of Hiroshima International University in the 1970s. Kansei Engineering is a method that accounts for human feelings and impressions being factored into the design of products. Mazda is also currently the only automaker to manufacture vehicles in rotary, diesel, and gasoline engine types. An ongoing partnership with the Ford Motor Company is in place to jointly design and manufacture vehicles in the United States and internationally. Mazda has used the message “Zoom-Zoom” since 2000 to describe what they refer to as the “exhilaration and liberation from the emotion of motion”. The “Zoom-Zoom” tagline has also been incorporated into Mazda’s “What Do You Drive?” campaign which started in 2011. SKYACTIV Technology is an innovation from Mazda produced for the goal of increased fuel efficiency and reduced emissions, without sacrificing performance. The all new SKYACTIV technologies mark the beginning of an all new era for Mazda, uniting the commitment for a sustainable future with the joy of driving Mazda is famous for. In 2007, Mazda devised a building block strategy to dramatically improve the efficiency and sustainability of the next generation of vehicles. The goal was not to create just a few greener vehicles, but transform the entire product line. Looking ahead to 2020, studies show that the vast majority of people will still be driving passenger vehicles powered by internal combustion engines. Yet, even after 120 years of constant development, the internal combustion engine only uses about 30% of the energy in the fuel. Clearly there is plenty of room for improvement. The heart of SKYACTIV technology is innovation. Mazda engineers focused on dramatically improving fuel economy and reducing CO2 emissions, while further enhancing safety and driving pleasure. And they’ve succeeded, recognizing these conflicting objectives by optimizing internal combustion and employing advanced, lightweight engineering. 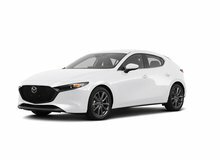 The result is SKYACTIV, a completely new range of engines, transmissions, body architecture and chassis that will go into every next generation Mazda. Mazda believes that future vehicles must be more environmentally responsible. With this in mind, many car manufacturers have focused solely on the development of hybrid systems in the mid-term, with fully electric drives the long-term goal. Mazda is no different in this respect, having already spent more than 20 years working on hybrid and fully electric vehicles. But Mazda has always chosen to defy convention, think independently, and chart its own path. The first step in the building block strategy for sustainable Zoom-Zoom is the introduction of the SKYACTIV technologies to immediately improve fuel economy and reduce emissions. Next comes the step-by-step addition of auxiliary electrical systems to further enhance efficiency, like I-Stop, Mazda’s start-stop technology and regenerative breaking. Mazda also partnered with other automakers to obtain the best hybrid technology. Combining this hybrid system with the advanced internal combustion and lightweight SKYACTIV technologies will create the ultimate Zoom-Zoom hybrid. Zoom-Zoom is more than a slogan. It’s a standard that every Mazda must live up to. It’s a feeling that connects the driver to the car, the car to the driver, and embraces the pure joy of driving. The next generation of Mazdas will continue to live up to that legacy and create a new standard of sustainability through continuous innovation. With today’s internal combustion engines, about 70% to 90% of the energy is lost. Mazda’s approach for the SKYACTIV engines is to harness much of that lost energy by dramatically improving the combustion process. For both gasoline and diesel engines, the compression ratio is key. Raising the compression ratio to improve efficiency in gasoline engines is a well understood theory among engineers. But there is an equally well understood problem – raising the compression ratio also causes abnormal combustion, or “knocking”. Mazda’s analysis found that knocking increases according to the temperature of the air-fuel mixture at the point of ignition. So Mazda introduced an entirely new range of technologies to lower the temperature of the air-fuel mixture in the cylinders. Mazda developed a special exhaust system to reduce the amount of residual gas in the cylinders. The new 4-2-1 exhaust manifold more effectively removes the hot gases exiting the cylinder to reduce heat and prevent knocking. A unique cavity at the top of each piston was developed to accelerate the combustion speed and drastically improve the process. The combustion duration was also reduced, enabling proper combustion to finish before knocking can occur. Mazda added multi-hole injectors to optimize the fuel spring and create a more even air-fuel mixture which also lowered the cylinder temperature. A complete engine redesign also gave Mazda engineers the opportunity to rethink every component to squeeze the maximum efficiency from its function. Advanced lightweight design shaves significant weight from key components and dramatically reduced internal friction. The result is the SKYACTIV-G gasoline engine. Exceptionally strong and remarkably efficient, it takes compression to an all new level, solving all the issues that, until now, have baffled engineers. It boasts the world’s highest compression ratio, previously only seen in high-performance race cars not intended for everyday use or known for their fuel economy. It generates around 15% more torque at lower and mid-range engine speeds. At the same time it improves fuel economy by 15% compared to current engines, and also reduces CO2 emissions by 15%. Internal engine friction is reduced by a whopping 30% and the overall weight of the engine has been shaved by 10%. The result is a torquey, free revving engine that quickly responds to the driver’s will and takes Zoom-Zoom to the next level. The whole point of a transmission is to transfer power from the engine to the wheels when the driver wants it. Optimizing that vital connection is one of the fundamental elements behind every Mazda Zoom-Zoom performance. It’s a simple concept performed by increasingly complex machinery. For the next SKYACTIV transmissions, Mazda’s engineers took a fresh look at every component. The automatic and manual transmissions were completely redesigned to create the ideal connection between the new SKYACTIV engines and the driver. SKYACTIV-DRIVE is the 6-speed automatic transmission. It’s designed to deliver the best of all worlds, with the direct shift feel of a manual or dual-clutch transmission, the smooth acceleration and shifts of a conventional automatic, and the fuel efficiency of a continuously variable transmission. The heart of SKYACTIV-DRIVE is a newly developed torque converter called a full-range direct drive. The power from the engine is now locked into the drive almost 90% of the time. It shifts quickly and smoothly and reacts to changes in the engine load right form a standstill. The result is an automatic transmission that provides drivers with the kind of direct feedback that’s usually only felt with manual transmissions. And even better, it improves fuel economy by up to 7% to deliver the best automatic transmission performance and efficiency for both the SKYACTIV-G and SKYACTIV-D engines. A lot of Mazda customers prefer to drive a manual transmission. 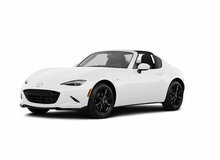 Anyone who has ever put an MX-5 Miata through its paces knows the quick, precise shifting feel of the legendary roadster. The feeling of a more direct connection between car and driver amplifies the Zoom-Zoom experience. Creating that sensation for every new Mazda was the motivation behind the SKYACTIV-MT 6-speed manual transmission. Like all SKYACTIV technologies, Mazda started the design and development from scratch to create something truly innovative. Mazda paid particular attention to the shift feel, reducing the stroke length to allow crisp shift changes by simply flipping your palm. It was accomplished by creating a new part of the transmission called a sleeve, which enables Mazda to balance the short stroke with a light operation. Mazda engineers also focused on designing on a much smaller and lighter manual transmission. Weight has been reduced by as much as 16%, with improved fuel economy thanks to reduced internal friction. Lighter, small and more efficient, the innovative new SKYACTIV-MT 6-speed manual transmission delivers a shift feel that makes you want to change gears again and again. SKYACTIV-DRIVE and SKYACTIV-MT, the all new connection to Zoom-Zoom for every Mazda. The goal of SKYACTIV technologies is to dramatically improve the efficiency and sustainability of Mazda’s next generation vehicles. At the same time the challenge is also to increase the safety and joy of driving that is the Mazda Zoom-Zoom experience. Advanced, lightweight engineering is the key. Lighter vehicles enhance many aspects of performance, from acceleration and braking to overall agility and handling. Lightness also brings better fuel economy. But here’s the problem with weight reduction: if you simply shed weight, you also lose rigidity and that reduces performance and impacts safety. To make the SKYACTIV-BODY lighter, stronger and safer, Mazda went back to the drawing board. A conventional body frame is curved to accommodate the engine and transmission. The ideal body structure has a straight and continuous basic framework to ensure high body rigidity. Working closely with the other SKYACTIV development teams, the SKYACTIV-BODY was designed with a straight framework, taking advantage of the reduced size and weight of the new engines and transmissions. It means there is no need for excess reinforcements, which greatly reduces the weight. For improved safety, a concept called multi-load path structure was adopted, which improves the absorption of an impact by dispersing the load in multiple directions. The SKYACTIV-BODY also makes extensive use of high-tensile steel for greater strength with less weight, and weld bonding to reinforce critical areas. The result is an 8% weight reduction with a 30% improvement in body rigidity. A win-win balance of low weight and high rigidity. 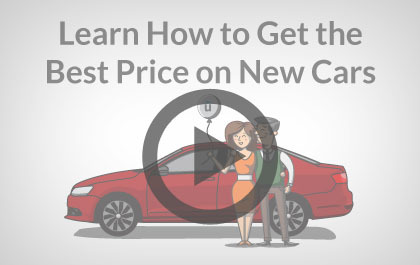 That translates into greater fuel efficiency and even better driving characteristics. Lighter, stronger, safer; the SKYACTIV-BODY delivers it all. The chassis is where the rubber meets the road, and its performance is critical in creating a oneness between the car and the driver. The top priority for the SKYACTIV-CHASSIS development team was to further improve Mazda’s unique light and agile driving characteristics. However, making a vehicle more agile usually means compromising on high-speed stability and ride comfort. On top of that, the goal was to significantly reduce the weight of the chassis. Just like the other SKYACTIV developments, it also started with a blank sheet. A new electric power steering system was developed to provide an immediate response to the driver, even at very low driving speeds. But that enhanced sensitivity can make vehicles less stable at higher speeds. The geometry of the rear suspension was redesigned to optimize the tires’ orientation to the surface to enhance stability at high speeds. This improved the rear grip, while permitting the use of softer dampers and springs to ensure superior ride comfort. The final objective was weight reduction. Each of the components was carefully optimized to improve rigidity, while minimizing size and weight. Advanced lightweight materials and innovative productions methods were employed. Looking at the front suspension, where rigidity is particularly important, weight was reduced substantially, while managing to improve rigidity by 40%. The result is a 14% overall weight reduction versus the previous chassis. It combines nimble handling with ride comfort and stability, even when pushing the vehicle to its limits. With the SKYACTIV-CHASSIS, the driver will feel at one with the car like never before. 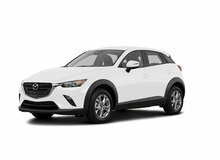 Unhaggle is not affiliated with or endorsed by Mazda in any way nor does Unhaggle endorse any products, services, or websites that may be referred to in, or linked to, this site. All product names, trademarks, and trade names are the property of their respective owners.